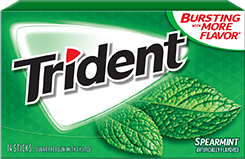 This gum puts on a green super hero cape and becomes the Cool Crusader of Spearmint Freshness. Our parents told us to be an original. 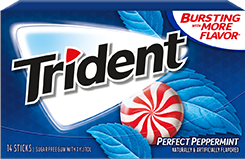 We wanted to be gum. Why not both? You ever thought about gum dancing with a hoola skirt on? Well, we did. 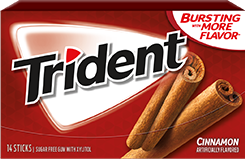 It’s got the spice of a firm handshake and the chew of a gum. Perfect. 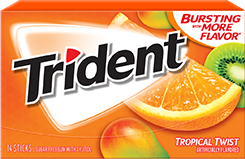 Citrus flavor for tang. 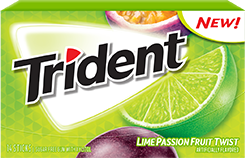 Passion fruit flavor for passion. Twisted for your enjoyment. Exotic flavor? Yes. Turns you into an actual dragon? No. Can something be classic and fresh at the same time? Yes. Yes it can. We don’t want to toot our own horn, but really there’s no way around it. 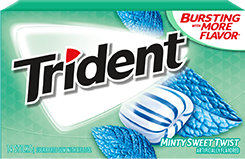 It’s minty perfection. It's like a minty fresh road that only has green lights and leads to a carnival! Let's go! 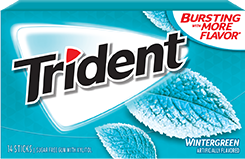 It’s like mint gum gave you a kiss on the cheek and told you “Have a good day, sweetie!" Winter fresh so cool you’ll hope spring never comes. Pinapple flavor that's been spun around and around and around and around. And then stopped. Stranded on a desert island? 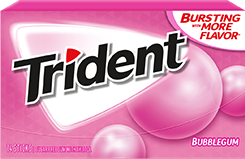 You'll want flares and this tangy, berry flavored gum. 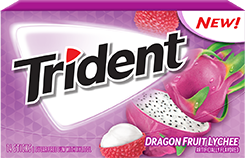 We spun black raspberry flavor around and around and this delicious gum is what happened. We went strawberry flavor pickin’ and thought - plot twist - “why don’t we just turn this into gum?” True story. 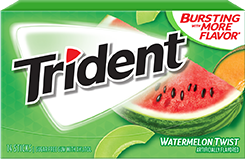 We built the waterpark of your minty dreams right on your tastebuds. This is what happens when you give a blueberry flavor dancing shoes and send it to a sock hop. We put passionberry flavor on a rollercoaster corkscrew even though it wasn't tall enough to ride. Ta-da. 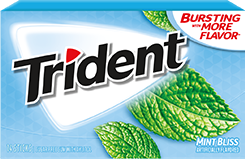 It’s like the mint supernova of the gum-universe. 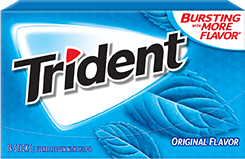 As fresh as a mid-day shower, but for your mouth of course.